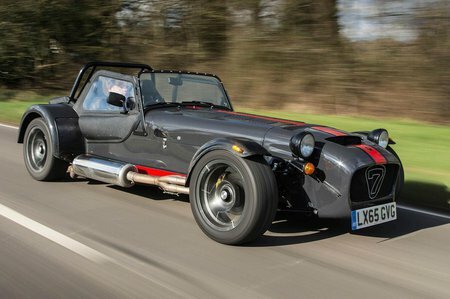 Caterham Seven Performance, Engine, Ride, Handling | What Car? Even the entry-level Seven 160 is properly brisk – up to about 60mph, after which it’s fair to say the rate of acceleration tails off a bit. Well, quite a lot actually. But that’s hardly surprising given the tiny 660cc engine pumps out a mere 80bhp. 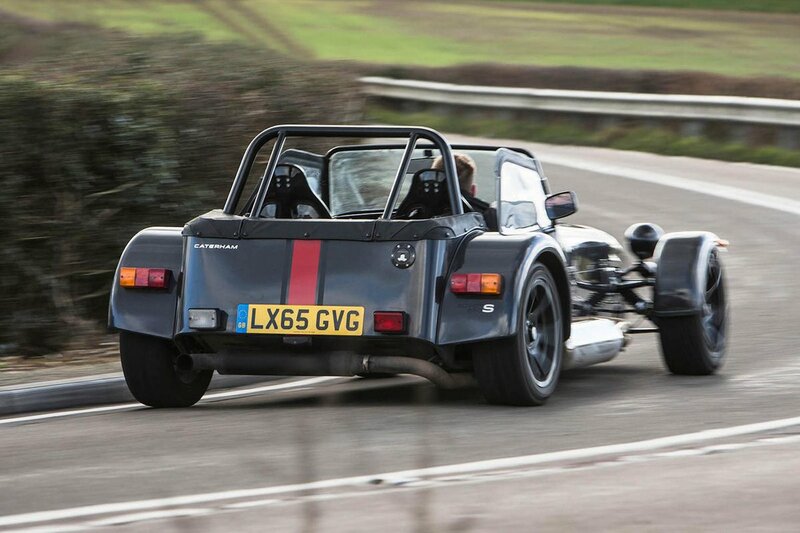 At the other end of the Caterham Seven range sits the 620R. This version has a 310bhp 2.0-litre engine and can rocket you to 60mph in a claimed 2.8 seconds. That’s quicker than a Ferrari 488 GTB. Nevertheless, outright performance isn’t really the ethos of the Seven; sheer entertainment is, and boy is it fun – on the right road. There’s a real joy to be had snicking the tiny gearlever up and down at speeds below the national limit, listening to the side-exit exhaust roaring away loudly. The car’s natural territory is the twisting, undulating B-road. This is where the Caterham Seven revels in briefs blasts of acceleration, a dab on the brakes before it dives for the perfect line through corners. The steering is super-sharp, requiring only the merest hint of movement to make the car change direction. And there’s loads of feedback too, so you’re acutely aware of exactly how well the front tyres are gripping as they bob up and down in the periphery of your vision. However, before you can enjoy the unquestionable delights of that traffic-free back road you’ve got to get to the start of it, and this isn’t such an enjoyable experience. The steering is quite heavy at low speeds, and the tiny pedals make stop-start stuff a real exercise in delicate footwork; you constantly wish you’d worn smaller shoes. The motorway is a long way from the Caterham’s natural habitat, too, because the Seven is incredibly noisy and tends to wander around as the front tyres try to follow cambers in the road. The ride isn’t too bumpy on the more sedate versions, but go for the track-focused R pack and you’ll wince over every pothole.